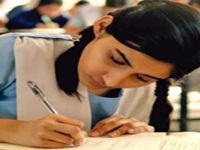 Junior School Certificate (JSC) and Junior Dakhil Certificate (JDC) examinations going to start from 1 November to Until 15 November. As like before, two tests will be held at 10am and 2pm. According to the sources in the Ministry of Education, it has been suggested that the JSC-JDC exam has been proposed to start on November 1. The proposed schedule is now waiting for the approval of the ministry. Earlier, the JSC examinations were prepared and approved by the Ministry of Inter-Education Education Coordination Sub-Committee. BdExpress24news is one of the most popular online NEWS portal and Online NEWS Publisher from Bangladesh. bdexpress24news.com offers impactful advertising whether your marketing goal is to launch a new product or service, drive online traffic, expand business or build brand awareness.